DENVER, Colo. – March 26, 2019 – Bye Aerospace, the developer of the all-electric eFlyer (formerly Sun Flyer) family of aircraft, will be hosting a press conference at AERO Friedrichshafen 2019 on Thursday, April 11, at 2 p.m. local time at Conference Center West, Room Schweiz. 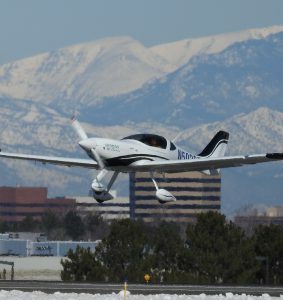 George E. Bye, Founder and CEO of Bye Aerospace, will provide a program update and ongoing flight test program results on the progress of the 2-seat eFlyer, which successfully completed the first official flight test with a Siemens electric propulsion motor February 8 at Centennial Airport, south of Denver, Colo. 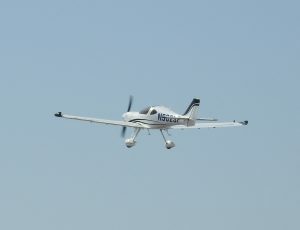 The eFlyer family of aircraft, including the 2-seat eFlyer 2 and the 4-seat eFlyer 4, aims to be the first FAA-certified, practical, all-electric airplanes to serve the flight training and general aviation markets. Siemens will provide electric propulsion systems for the eFlyer 2 airplane—the 57 lb.-SP70D motor with a 90kW peak rating (120 HP), and a continuous power setting of up to 70kW (94 HP). eFlyer brings the full promise of electric propulsion to the market with safe, practical and reliable electric aircraft. The all-electric operation requires no aviation fuel and results in zero emissions and significantly lower noise pollution compared to conventional aircraft. The sleek Sun Flyer design also features enhanced speed and altitude performance with extremely low operating costs. For more information about the press conference, please send an e-mail to info@ByeAerospace.com or call Bye Aerospace at +1 (303) 459-2862. Bye Aerospace is developing the eFlyer (formerly Sun Flyer) family of aircraft in addition to a family of advanced, high-altitude, long-endurance solar-electric unmanned aerial vehicles called “StratoAirNet.” George Bye is Chairman, CEO and Founder of the company. © 2019 Bye Aerospace. All rights reserved.